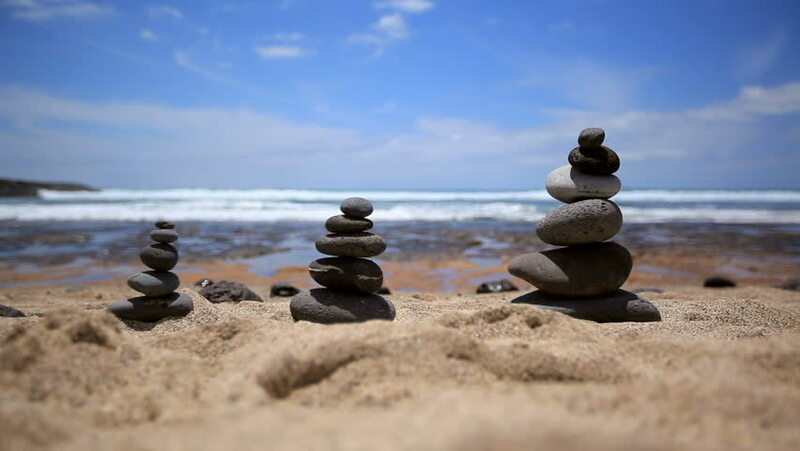 hd00:06Stones balance on vintage beach, inspirational summer. Picturesque sea landscape. Tenerife. Ocean. Sea waves. Beach. hd00:07Stone tower on a seashore. hd00:12Stone tower on a seashore.